Following are standard practices, preferred terms, clarification on some misunderstood terms and incorrect terminology. Please also see BoatBeat’s Glossary of Terms and recommended Style Guide. Boat vs. 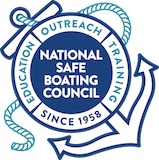 Vessel: Use the term “boat,” instead of vessel, as encouraged by the National Boating Safety Advisory Council (NBSAC) Resolution 2008-81-03. If the article uses the term “vessel,” they should use it consistently throughout. The words are interchangeable, but the term “boat” is more recognizable among the recreational boating public. Flyboard: “Flyboard” is a brand and, therefore, should be capitalized. Personal Watercraft (PWC): To an average, this may be thought of as “their personal boat.” PWC actually include a number of smaller vessels usually operated by a single person or may have up to two passengers if it is rated to do that. PWC are usually jet propelled and include brands such as Jet Ski, Wave Runner or Sea Doo. PWC vs. Jet Ski: Headline mentions a Jet Ski and the body of the story refers to a personal watercraft (PWC). Jet Ski is a trade mark name for a product of Kawasaki, PWC applies to the type of watercraft. PWC vs. Small Watercraft: Rather than use various terms to refer to the same type of boat, for example, using the term “small watercraft” and then “personal watercraft,” be uniform and use “personal watercraft” throughout the article.